Office 365 is Microsoft’s subscription-based online office and software services suite. It incorporates access to online services such as cloud storage with the portability of Office Online. 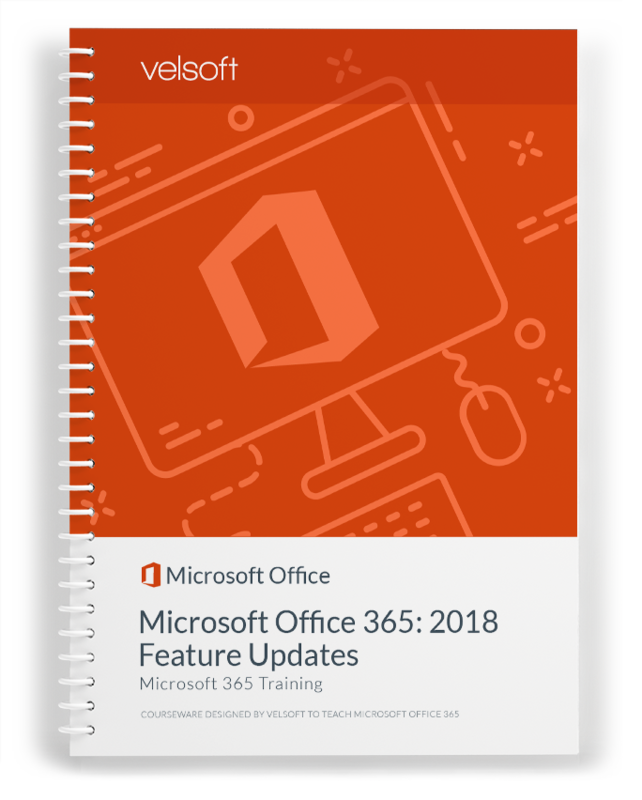 This course is intended to help users of Office 365 understand updates made in 2018. 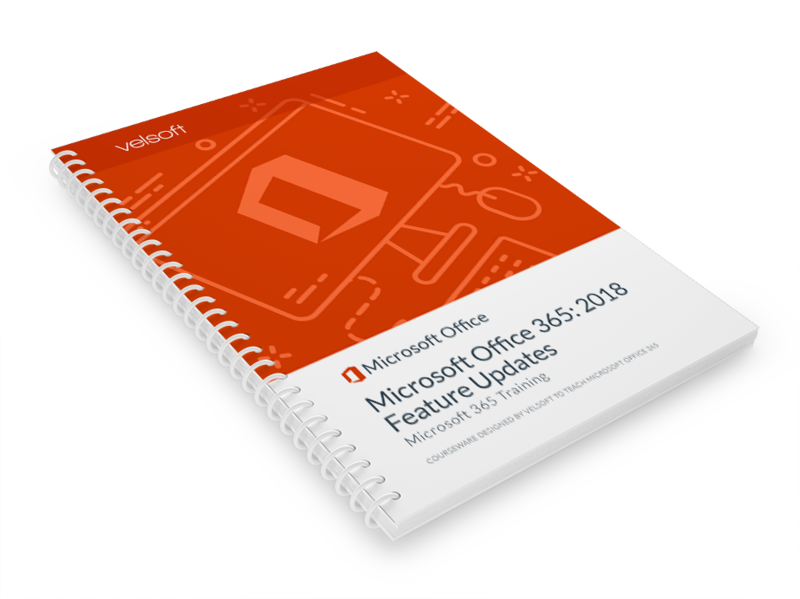 It focuses on six Office 365 offerings — Word (word processing), Excel (spreadsheets), PowerPoint (presentations), Outlook (email and calendars), Access (database management), and Visio (diagrams and vector graphics). 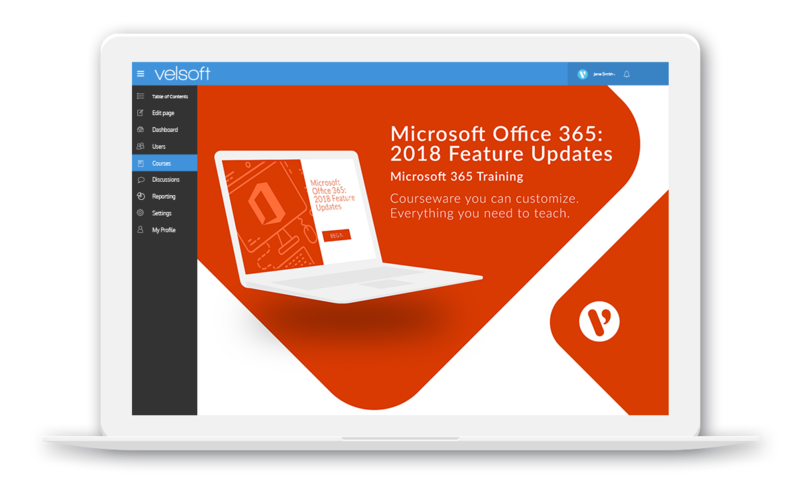 Each Velsoft course comes complete with all the tools you need to deliver a comprehensive training session including an instructor guide, student manual, quick reference guide, PowerPoint slides, and more. Download a free sample now. Microsoft Office 365: 2018 New Features is one-day course that provides your students with a comprehensive overview of the knowledge and skills need to ensure the viability of businesses in today's world. The course material applies equally to product and service-based enterprises.